I can’t believe I’m actually doing this, but I’m going to confess something that hardly anyone knows about me. My mom, my dad, and a few others have discreetly kept the secret that I’ve successfully hidden from friends, family, and boyfriends for years, but now I’m going to blow the covers off the whole thing. Hidden on my bed, under a pile of down pillows, designer pillow shams, and decorative throws, a well-loved and well-worn Gund sunbear hibernates each day until I crawl into bed at night and hug him tight. I am 33 years old, have a Masters degree from an Ivy League school, and own my own business, but…I sleep with a teddy bear. This much-loved member of my family has traveled the world and has seen me through most of my life. Sweets, as he is fondly known, has slept with me nearly every night since my seventh birthday when I received him as a gift. I’m a strong, independent woman, yet I sleep with a teddy bear. I am confident and frequently courageous and no longer need the security that he may have once provided me as a little girl, but sleeping with him has become a habit that I haven’t been willing to outgrow. And unfortunately, the older we get, the more set in our ways we are. I generally fall asleep quickly, but…Sweets must be underneath my right arm. The other day I was thinking about this and how with each passing year, I become increasingly accustomed to a specific routine, and the more challenging it is to open myself to change. I dream of meeting a wonderful man and starting a family. It’s easy to say, “I want. I want. I want.” But the truth is that people and opportunities only come to us when we make room for them in our lives. 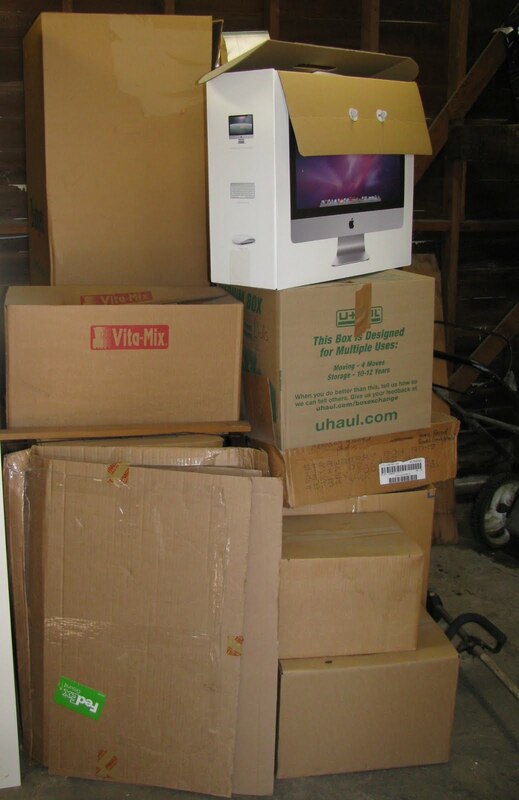 In an effort to make myself more available to life’s possibilities, I’ve been going on a clutter-clearing binge. By making more physical room in my life, I’m hoping that in turn I’ll be making more spiritual and emotional room. 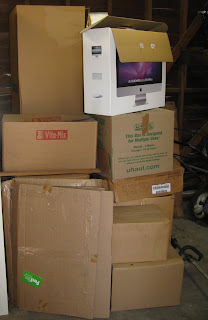 There was a whirlwind of dust and cobwebs as I pulled boxes from my garage. Among other things, I found a deflated leather volleyball that has moved with me across the country and back multiple times. I stopped playing volleyball when I was 17, half my lifetime ago. Yet I’ve held onto this ball, perhaps erroneously believing that one day I would once again be that teenage girl who made up cheers and ran laps with her team. I also found a pair of cleats (haven’t played lacrosse since I was a sophomore in college), two pairs of ski pants that I’ve long since outgrown, and piles of slides, negatives, and prints from my days as a photographer. The artwork I will keep, but what is it about the other things that I haven’t been able to release? At first I saved the volleyball because it had been expensive, and I assumed I would one day play again, but after awhile I think it was more out of habit. I dream of the future, yet here I am holding so tightly to the past. Is it that I’m yearning for the endless possibilities of my youth, the idea that I could do anything and be anything? Or is it like sleeping with my teddy bear, and I just don’t know any different? I had actually forgotten about the deflated volleyball in my garage, which made me wonder what other stuff—both physical and emotional—we carry with us from place to place, without even being aware of its existence. I can say, “I want,” a million times but until I make room in my life, how can I expect there to be space for new people and opportunities? I’m not yet willing to release my old friend, Sweets the sunbear; however, the cleats, the ski pants, the volleyball, and a whole host of other objects that have been gathering dust for years are on their way to Goodwill. There is wisdom in the adage, “Out with the old, in with the new.” New doors are opening and I will step through them lighter and freer. What in your life have you been holding onto? What could you release today? What steps can you take to make room for new opportunities and embrace your future with open arms? As we welcome the future, may we smile like this dragonfly! As I move forward into my future and discard the things that no longer support who I am today, there are, however, many things from my past that I will carry with me. The recipe for my signature potato salad is certainly one of those things. I’ve been making this dish longer than anything else. It had its debut around the time that I played volleyball, and I’ve been making it the same way ever since. The secret is marinating finely diced onions in the pickle juice. What summer picnic is complete without potato salad?! Boil the potatoes (skin on) in a large pot until tender but not mushy, about 20 minutes for small potatoes. In a small pot, boil the eggs until hardboiled. While the eggs and potatoes are cooking, dice the onion. 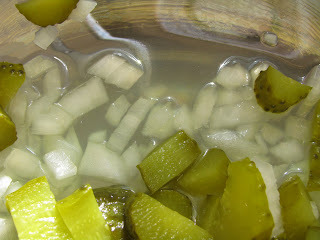 Combine the onion and the pickle juice in a large bowl and allow to marinate while you cut the pickles. Add the pickles to the onions. Drain and rinse the potatoes and eggs. Chop the potatoes and peel and chop the eggs. Combine with the onions and pickles. Add the mustard, mayonnaise, and black pepper. Stir. Enjoy. Awww, Sweets for sweet you! I was not expecting that disclosure, Meadow!!! Good for you for clearing and making room for wondrous people and things to flow into your life. And I for one, would hang onto Sweets! I still have a panda, who I actually never named, that I've had since I was first adopted. And a wonderful weave, by the way, of the potato salad recipe, which looks terrific! Meadow - what a brave confession to make. Thanks for reminding us that we need to review not just our assets but our how we live our lifes to clear out the old and make room for the new. I have started in the past couple of years to clear out my clutter and let go of resentments etc and venture out into the world farther than I have ever been. What a delightful confession to make! Having just hit social security age I can tell you that hanging on to some things is acceptable for any of us. I have a stuffed boston terrier (Bootsie) that goes back more years than you've lived! LOL Also the "boy doll" named Petey that was my younger brother's (my older sister and I had girl dolls name Susie and Mary), that was left when he died 2 weeks before his 6th birthday. We were very close, and I keep it for the memories. You keep Sweets! I've learned to let go of anything that does not make me smile and my heart sing when I see it. That rule has allowed me to do a LOT of cleaning out lately! Thanks for bringing smiles to so many of us - and I'm gonna try out your potato salad for sure! Blessed Be. I am a fan of your photograph! It is amazing! I love your teddy bear story! I once was with a man about 10 years ago that I lived with and he had a stuffed bunny on his bed. I think many people have a stuffed animal and I don't think that there is anything wrong with it. I enjoyed you sharing this story! Meadow this looks so yummy. I'm going to make it today. Thanks for sharing.